The 97.5 NOW FM $1,000 Secret Santa Has Been Found! Brad from East Lansing is now $1,000 richer thanks to Medawar Jewelers Frandor! After an entire week of residents scouring the Lansing area for the elusive "Secret Santa," he was located just before the start of Silver Bells in the City on Friday, November 22nd!  Congratulations to Brad from East Lansing who says his decision to go downtown to hunt for the 97.5 NOW FM $1,000 Secret Santa was made on a whim. While driving he spotted a man walking down the sidewalk toward Edmund's Pastime on South Washington. The man was wearing a green blazer. He tracked the man into Edmund's and approached him, asking "Are you the 97.5 NOW FM $1,000 Secret Santa?" The man, whom we'll refer to as "Kris Kringle" for the purposes of this article, asked Brad to repeat his question. "Are you the 97.5 NOW FM $1,000 Secret Santa?" he asked. "My name is (Brad) and I know your secret! Now give me my money to be sure that I keep it!"